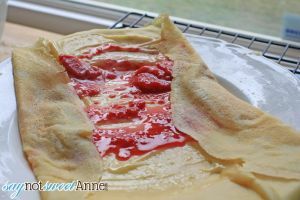 My darling hubby makes a great crepe. Following his trend of excellent baked goods (like these chocolate chip cookies or these yeast rolls) he took to crepes because someone, somewhere, told him they were difficult. It turns out they are really not that tricky at all. After years of making them in a skillet, we’ve even purchased a crepe griddle. I’m not typically one for one-hit-wonder appliances, but we make the crepes often enough that it makes sense. We tend to make our decadent breakfasts like Chai French Toast and Caramel Apple Donuts on Saturday mornings. Its our little family work-together time when we’re both in the kitchen making an amazing breakfast. Now that the busy holiday season is looming ahead, this time becomes even more precious, as a little oasis in the busyness. Our go-to crepe recipe is from none other than Alton Brown. Be sure to check out his recipe page for substitutions or comments! Dump all the crepe ingredients into your blender, and give it a whirl. Try not to over-blend it. 10-30 seconds should be enough. Let the batter rest in the refrigerator for 1 – 48 hours. 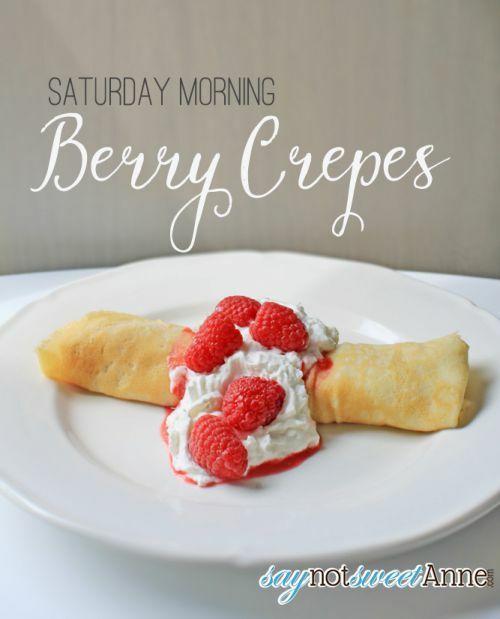 When ready, heat a non stick pan or your crepe griddle on medium heat. 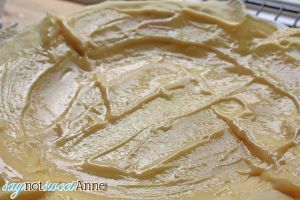 Pour just a bit of batter into the pan and swirl (or use a crepe wand) to spread it out thinly. Cook for 30 seconds to 1 minute on each side (the thinner you can get it, the faster it will cook). 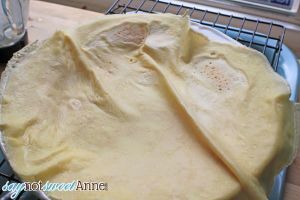 Keep finished crepes in a sandwich of damp paper towels to prevent cracking. 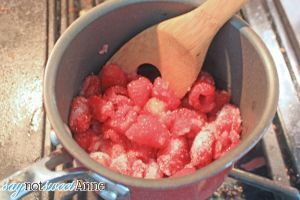 Add the berries and sugar to a medium sauce pan on medium heat. After a few minutes, the berries (fresh or frozen) will begin to release their juice. Let simmer for about 5-10 minutes. Combine cornstarch and water into a slurry, and add to the pot. Stir to combine. Let mixture come back to bubbling, then remove from heat and let stand until ready for serving. 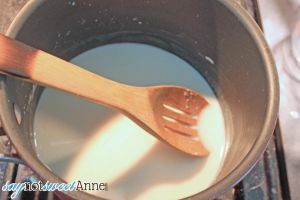 Heat milk to steaming in a small saucepan. 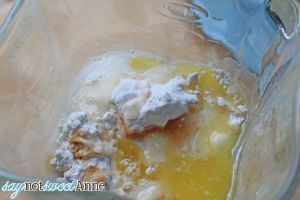 In a separate bowl, combine yolks, sugar and flour. 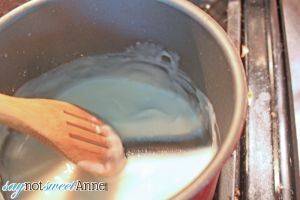 Once scalding, add about 1/4cup of the milk into the egg mixture. Stir to combine. 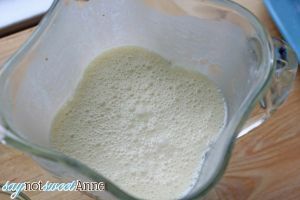 Once smooth, add the egg mixture into the saucepan with the remaining milk. Whisk constantly until very thick. Remove from heat and whisk in vanilla. Chill for thicker consistency, or serve warm. 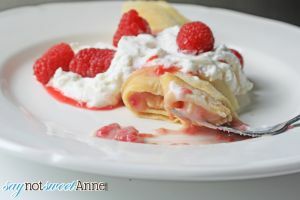 To assemble the crepes, simply spread a layer of cream then a layer of compote and roll up like a burrito. We love to enjoy ours with whipped cream and some extra berries. The results are so special and decadent for a breakfast, it really starts our Saturdays off right!! ← Free Printable Halloween Coffin Boxes!